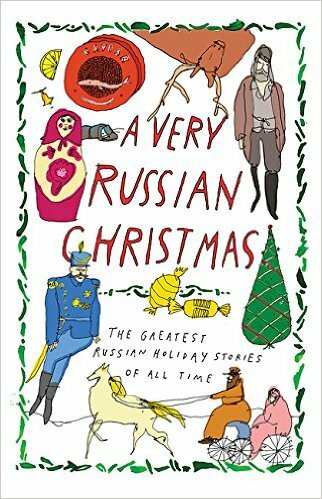 The following is a story by Mikhail Zoshchenko, from the anthology A Very Russian Christmas: The Greatest Russian Holiday Stories of All Time. Zoshchenko was one of the great Soviet satirists of the first half of the twentieth century. His collections of satirical short stories sold in the tens of millions in the USSR. After World War II, his work was repressed by the Soviet government. This year I turned forty, friends. Turns out, I’ve seen forty New Year’s Trees. That’s a lot! I guess the first three years of life I didn’t really know what a New Year’s Tree was. I guess Mama took me by the hand. And I guess, with my little black eyes I looked with disinterest at the decorated tree. But, children, when the age of five struck, I could understood perfectly what a New Year’s Tree was. And I couldn’t wait for this joyous holiday to come around. And so my sister, Lyolya, and I went into the room. And what did we see: a very beautiful New Year’s Tree. And underneath the tree were presents. And beads, bunting, lanterns, acorns, pastilles, and Crimean apples. My sister, Lyolya, said, “We won’t peek at the presents. Instead, better yet let’s each eat one little pastille.” And so she walked up to the tree and in an instant she gulped down a pastille that was hanging on a string. I said, “Lyolya, if you ate a pastille, then I want to eat something.” And I walked right up to the New Year’s Tree and took a nibble from an apple. Now, Lyolya was tall, a very long-limbed, gawky girl. And she could reach up high. She stood on her tippy toes and with her big mouth began to eat a second pastille. And I was surprisingly short. I could barely reach anything, except for the one apple which hung low. “Lyolisha, if you ate a second pastille, then i’ll take another bite from the apple.” And I took the apple in my hands one more time and nibbled. Lyolya said, “If you took another bite from the apple, then I won’t stand on ceremony anymore and I’m going to eat a third pastille and in addition I’m going to take this bonbon cracker as a souvenir.” I almost screamed. Because she could reach everything, and I couldn’t. And so with my skinny little arms I began to drag a chair over to the tree. But the chair fell on me. I wanted to pick it up. But it fell again. And right on the presents. Just then we heard Mama’s footsteps and Lyolya and I ran into the other room. And all the kids walked into the room where the New Year’s Tree was standing. “I’ll do just that. Here, one arrives a guest and leaves distressed.” And then another, a third mother, said:“I’m going as well. my little girl doesn’t deserve to be given a puppet with a chipped arm. And my sister Lyolya shouted, “You can go too, with your golden girl! And I’ll keep the puppet with the broken arm.”And then I, sitting on my mother’s lap, shouted, “And anyway everybody can leave, and we’ll keep all the toys.” And all the guests began leaving. And our mother was surprised that we were left alone. But suddenly our papa came into the room. And so, my friends, thirty-five years have gone by since then and I still remember that tree, even now. And for the past thirty-five years, children, I’ve never once eaten somebody else’s apple and never hit somebody who was weaker than me. And the doctors tell me that’s why I’m happy and good-hearted, relatively speaking. From A VERY RUSSIAN CHRISTMAS. Used with permission of New Vessel Press. Translation copyright © 2016 by Ross Ufberg.